Since 2003 Theatre Nohgaku has hosted workshops for poets, playwrights and other writers, as well as musicians and performance artists to help them better understand Japanese noh and to assist them in using noh in their own artistic pursuits. We invite you to join us for any or all of our 2014 Workshop series. 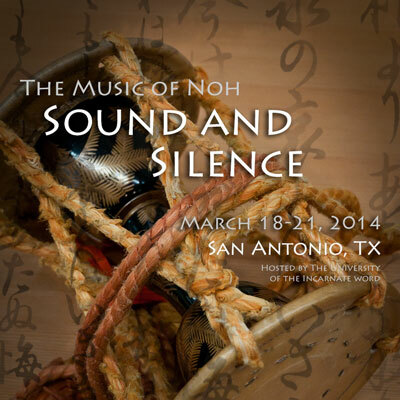 The Music of Noh: Sound and Silence provides the student with the opportunity, rare in the US, to delve deeper into the music of noh. Topics will include: the structure of different shodan (the musico-poetic units of noh); the intricate relationship between utai (chant) and hayashi (nohkan, kotsuzumi, otsuzumi and taiko); each instrument’s role in noh; how the instrumental parts form a musical whole. The workshop will also provide an opportunity to explore the use of noh’s musical structures in the composition of new works. Morning sessions consist of lectures, discussions and demonstrations led by certified Kita-ryû instructor and Professor of Asian Theater (Musashino University, Tokyo) Richard Emmert. Participants will have hands-on lessons with the different noh instruments in the afternoons. Prior musical experience is not necessary, and the workshop is open to all who want a deeper understanding of the musical structures of noh. This workshop will especially benefit playwrights working with music, spoken-word poets and composers looking to use noh-related music in theater pieces. The workshop is limited to 12 participants. Early registration is encouraged. For registration, and more details visit our website. 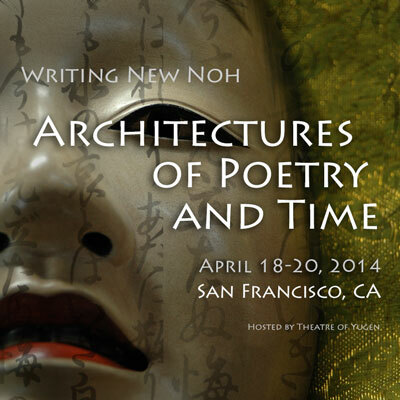 Writing New Noh: Architectures of Poetry and Time centers on the structure and character of noh’s written texts. Rich in poetic expression and profoundly moving, noh’s poetic style can become an ideal armature for contemporary creative works of theatre, poetry and song. The workshop introduces noh’s complex layering of spoken text, sung text, instrumental accompaniment and as an impetus to participants’ own creative work. Past workshop attendees have included award-winning playwrights Erik Ehn, Ruth Margraff and Deborah Brevoort, composer/lyricist Eric Schorr, and poet Lee Ann Brown. This year’s workshop includes three days of seminars led by composer/playwright and former Hosho-ryu professional David Crandall. Discussions focus on the form of typical noh plays, including aspects of musical and literary structure as well as noh’s wealth of historic and poetic references. Subsequent discussions focus on the unique challenges of adapting and writing noh for the English language. Participants will complete writing assignments, some of which the instructor will set to music for demonstration purposes in class. This workshop is limited to 12 participants. Early registration recommended. In association with the Oshima Noh Theatre, Theatre Nohgaku is pleased to announce the third noh costuming workshop in Kyoto and Fukuyama, Japan. Lectures and guided tours in Kyoto will be well-known author, scholar and practioner of noh, Monica Bethe. 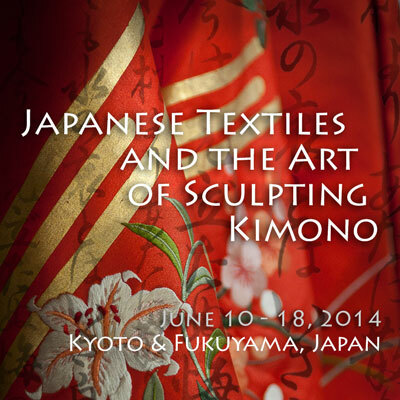 The Kyoto component of this workshop will include detailed lectures (in English) on Japanese textiles and costuming as well as guided tours to craftsman and artisan workshops. Although the final schedule is subject to change based on the availability of individual Kyoto artisans, past workshops have featured a visit to the Sasaki noh factory (featuring Meiji-era jacquard looms weaving hand-dyed silk), gold leaf artisans, embroiderers, kimono restorers and dye shops. After meeting and observing these highly skilled artisans at their work in Kyoto, participants will travel to Fukuyama and attend a noh rehearsal at the Oshima Noh Theatre, and will receive hands-on instruction by professional noh actors in the traditional choreographed process of dressing and being dressed in authentic noh costumes. The limited number of attendees insures that everyone will have ample opportunity to experience first-hand the richness and complexity of this time-honored art. Professional actors of the Oshima noh family (including noh actress Kinue Oshima and noh actor Teruhisa Oshima) will guide participants in active demonstration of many costumes, their functions and proper use. 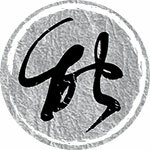 Also participating will be author, Kita-ryû instructor and Theatre Nohgaku Artistic Director, Richard Emmert. The workshop is limited to 10 participants. Early registration highly recommended. For registrations, and more details please visit our website. Questions about any of our workshops? Fees includes all lectures, applicable performances, workshop attendance and various other workshop-related activities. Travel, ground-transport, lodging and food are not included, but assistance will be available for arranging hotel accommodations and ground-transport (within Japan). This entry was posted in Costume Workshop, Music Workshop, Workshops, Writer's Workshop and tagged architectures of poetry and time, costume workshop, david crandall, fukuyama, hosho-ryu, kita-ryu, kotsuzumi, kyoto, monica bethe, music workshop, noh music, nohkan, oshima noh theatre, otsuzumi, poetry, richard emmert, sasaki noh workshop, sound and silence, spoken word, taiko, theatre of yugen, writer's workshop. Bookmark the permalink.